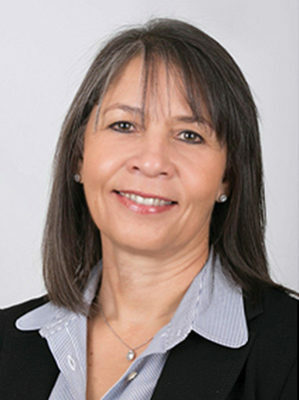 Managing Director, Umlingo (Pty) Ltd.
Felicia Roman is Managing Director of the Umlingo (Pty) Ltd. She is also a non-executive director of Direng Investment Holdings (Pty) Ltd and Brimstone Investment Corporation. She is also a shareholder and Chairperson of a Distinct Few – a boutique Executive Search firm. Felicia joined KFM Radio (Pty) Ltd in May 2001 as general manager and became managing director. She spearheaded the growth and transformation of the station to being the market leader in the Western Cape and one of the 5 most profitable commercial radio stations in the country. In 2003 Felicia was voted one of the “10 most remarkable women in media.” She has also been the head of the regional officer of the Friedrich-Ebert Foundation, the coordinator of the Provincial Development Council, the provincial director of the National Business Initiative, and the deputy CEO of Wesgro. Prior to the private sector, she taught geography at the University of Namibia. Felicia graduated from the University of Cape Town with a bachelor of arts and a postgraduate diploma in higher education. She is a Fellow of the third class of the Africa Leadership Initiative-South Africa and a member of the Aspen Global Leadership Network.